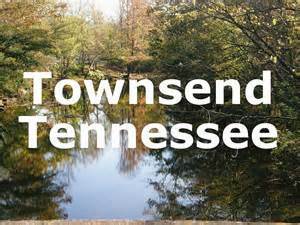 Townsend, TN, is our neighboring town and every spring the town holds its annual Townsend Spring Festival and Old Timer’s Day. And if you’re looking for a literal melting pot of bluegrass, clogging, arts, crafts, BBQ, storytelling, and woodcarving, then you’ve come to the right place. 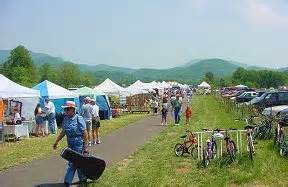 All come together in a cornucopia of events and festivities at the foot of the Great Smoky Mountains. Whether it’s a wildflower walk on Chestnut Top Trail, a book signing, or gardening tips and plant sales by the Trillium Cove Home and Garden, Townsend’s Old Timer’s day has something for everyone. On top of those typical, every day festival goings-on, visitors can hear bluegrass music on the festival stage till way past sun down. Guests can even bring their own instruments to the pickin’ porch. 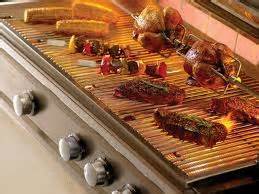 Arts and crafts are being made and sold throughout the day and BBQ pork and chicken, ice cream, deli sandwiches, hot dogs, kettle corn, and other good food are always being prepared…. Just be sure to stick around for the cake raffle and bake sale if you know what’s good for you. 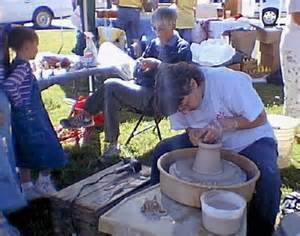 One of the more unique aspects of the festival might just be the early-Appalachian demonstrations given around the Townsend Days grounds. Things like mountain berry basket making, bee keeping, cornmeal making, and oak shingle-making are just some of the well-attended demonstrations in years past. 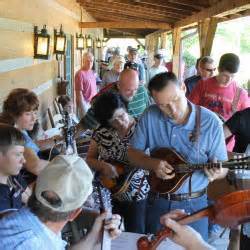 It’s a celebration of the traditional bluegrass and mountain music, crafts, and heritage of Townsend, East Tennessee, and the Great Smoky Mountains. Hope you can come out and enjoy this wonderful Springtime Celebration!